In Belfast in 1973 the Troubles are raging. Two Ulstermen. Two sides. On one, British Army bomb-disposal officer Marcus Richardson; on the other, Davy MacCutcheon, Provisional IRA armourer who has been constructing bombs since his teens. Both men are committed to their causes until events shatter their beliefs, leaving each with a crisis of faith and an overpowering need to get out—but with honour. When he is nearly killed by an exploding car bomb, Marcus welcomes the offer of a transfer to the elite SAS—provided that he first accept an undercover mission to infiltrate the Falls Road ghetto, join the Provisional IRA, identify their upper echelon, and expose their bomb-maker. When Davy’s devices are used for civilian disruption rather than military targets, the bomb-maker begins to question what he’s doing. His work is being used to maim and kill innocent people. His request to be discharged is countered by an order that he go on one last mission. Success will bring Davy redemption and permission to leave Ireland with Fiona Kavanagh, the woman he loves. PRAY FOR US SINNERS is a story about the conflict between the Provisional Irish Republican Army (PIRA) and the British. Set in 1976 around British Prime Minister Harold Wilson’s visit to Ulster, the story focuses on two individuals: Davy MacCutcheon, an aging die-hard member of the PIRA who supplied bombs since his youth and Marcus Richardson, a British military bomb disposal expert who reappears as undercover agent Mike Roberts with the charge to infiltrate the PIRA. Even though MacCutcheon and Richardson are on opposite sides of the struggle, each is conflicted between questions about their mission and their sworn duty to the cause. McCutcheon waivers after his longtime lover, Fiona, leaves him because of the civilian casualties caused by his work and then an innocent little girl is killed by one of his bombs. He plans one last important mission that he believes will end the conflict and then he will retire and leave Ireland with Fiona. Richardson, an Irish-Protestant serving in the British military, begins to see both sides of the conflict after living in the Belfast slums and falling in love with an Irish-Catholic girl. He wishes to quickly complete his mission and earn a transfer to the elite British SAS force. 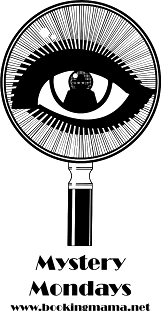 Eventually MacCutcheon’s and Richardson’s paths cross, which leads to an exciting series of events centered on the attempted assassination of Prime Minister Wilson. 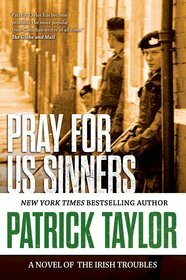 Author Patrick Taylor adds other elements to the story that makes PRAY FOR US SINNERS a real political thriller. 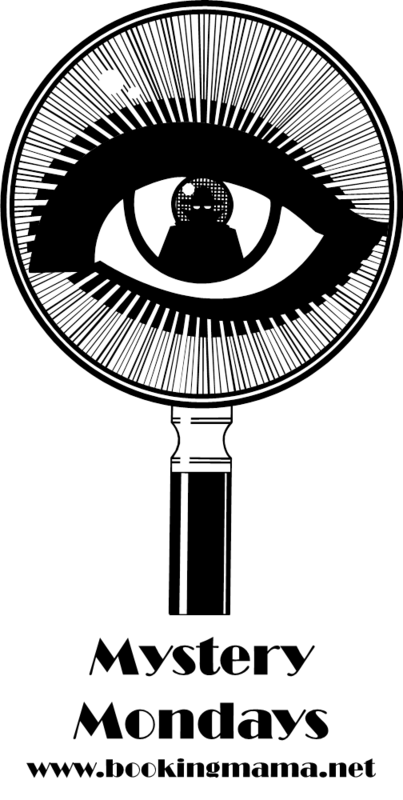 For example: there are turncoats in each camp reporting information to the other camp; there are love affairs that complicate matters; there is a one critical event that will decide the outcome of the story; and there are the typical government power grabs, manipulations and cover-up issues. Taylor does a good job of presenting the reader with the complex political issues that exist in the British-IRA conflict and gives the reader a view of violence and poverty that existed in Ulster in the mid-sixties. Placing his characters in an accurate historic setting and using the local language adds a realistic touch to the novel. PRAY FOR US SINNERS is a well-paced political thriller that I thoroughly enjoyed reading. Thanks to the publisher for providing a review copy of this novel and to Booking Pap Pap for his fine review. Thanks to Booking Pap Pap for another great review! Political thrillers are not always my first choice, but I have an interest in Ireland. I became fascinated with the troubles after visiting Northern Ireland a few years ago and bought a couple books to read to learn more about it but haven't read any of them. It sounds like this book would add another element to the story.